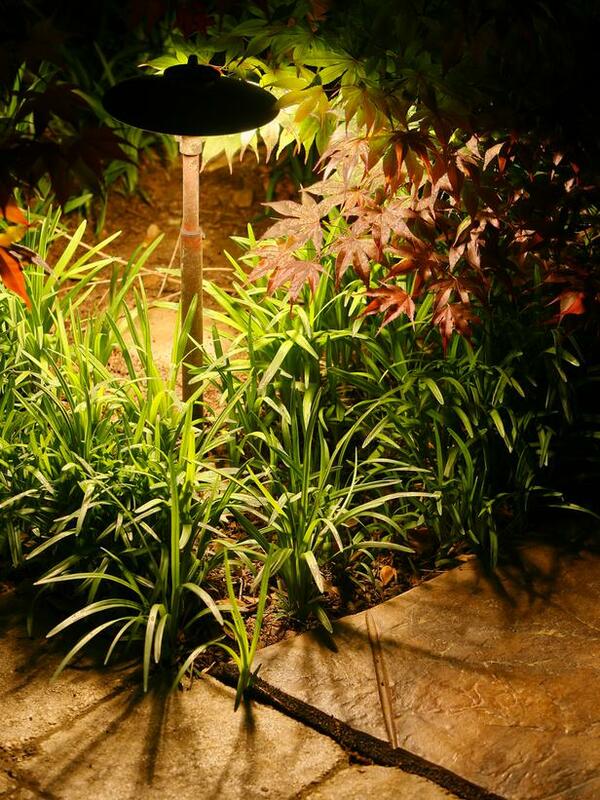 All Seasons Landscape takes seasonal changes, plant growth material and property structure all into account when creating your lighting design. 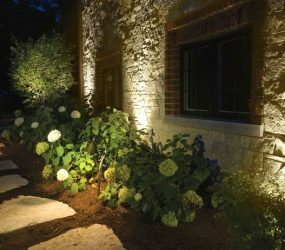 Whether you have a private residence or a public commercial space, All Seasons Landscape can provide high end superior lighting and installation. 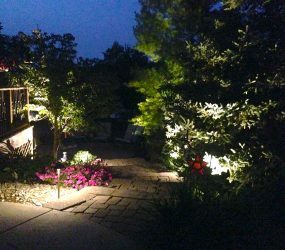 With years of experience and multiple references All Season Landscape can serve as your landscape lighting contractor and design a custom lighting layout to suit all your needs and desires. 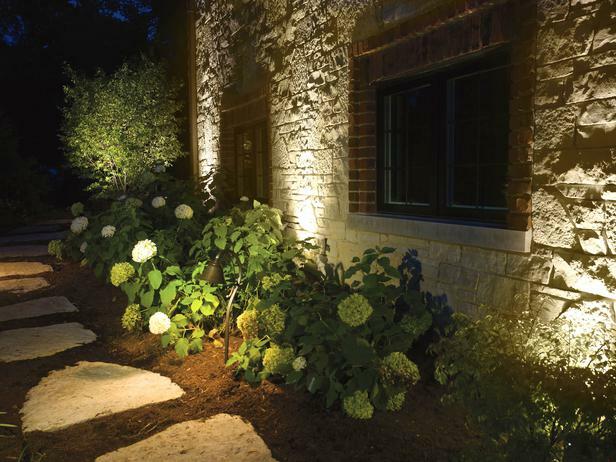 Illuminating your homes exterior can enhance the overall appearance of your property year round. 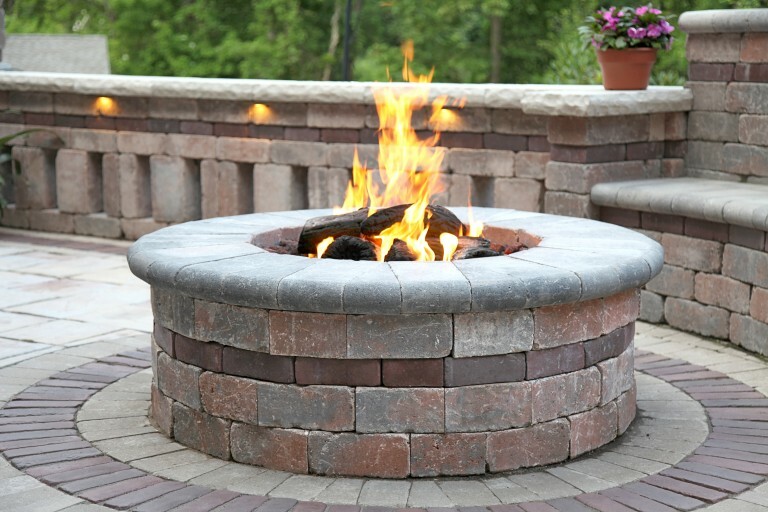 Improving your outdoor aesthetic can also increase your home’s overall value. Highlighting architectural features and beautiful plants or trees increases the curb appeal to any property. 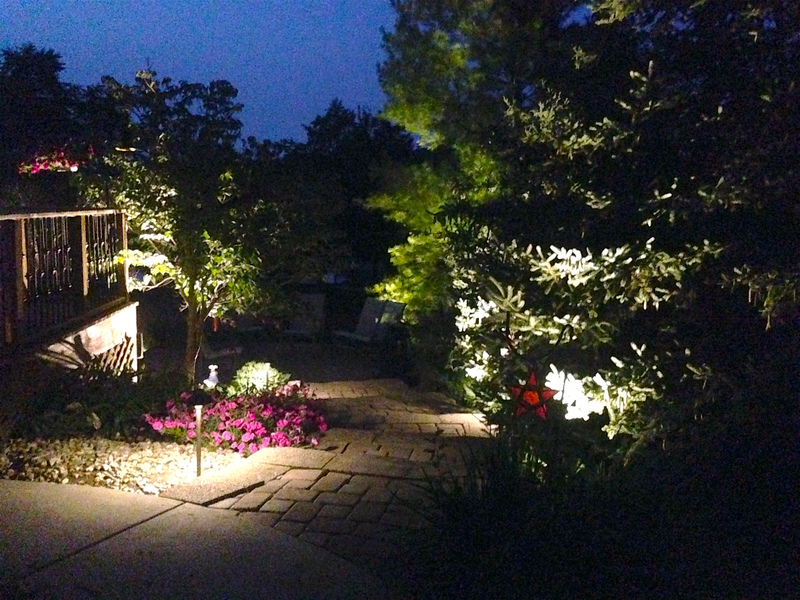 Extending outdoor activity time with lighting ensures your family and friends longer outdoor enjoyment time. 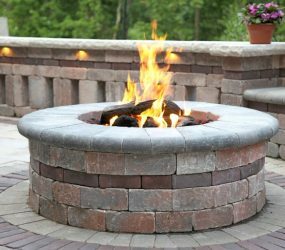 Whether you have a fire pit, patio, porch, walkways or recreational areas, highlighting your outdoor settings will increase the time for your outdoor events and activities. Lighting your property provides safety and security value. 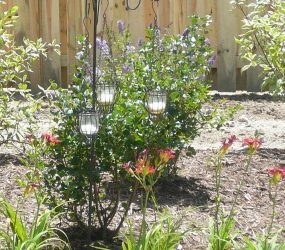 Outdoor landscape lighting deters intruders and vandals as they are looking for potential homes. 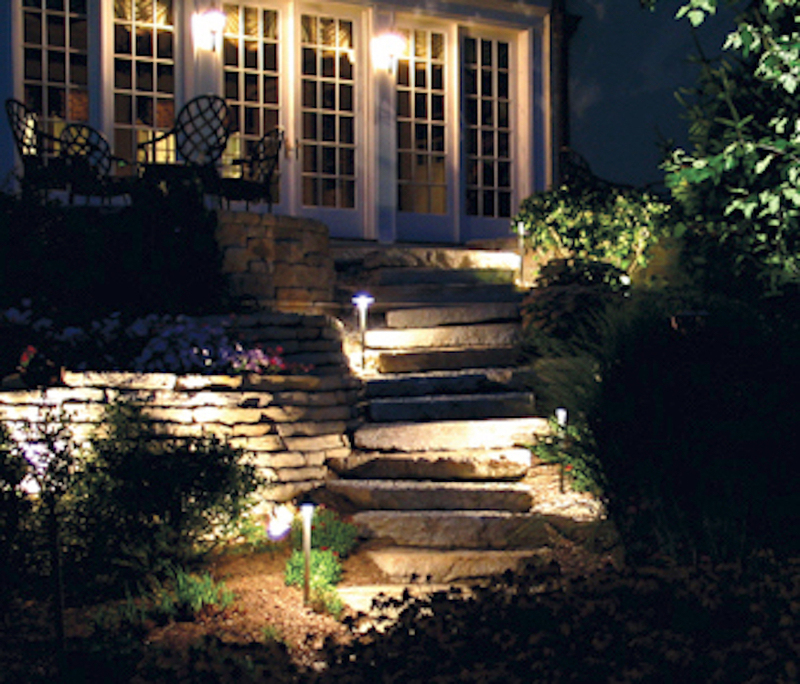 Landscape lighting can also prevent potential and likely accidents in areas of darkness around your home. 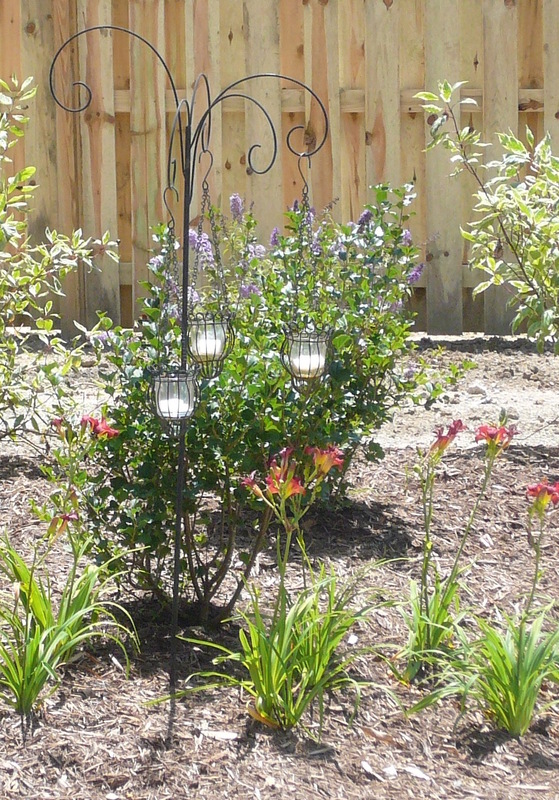 Pathway lights provide visibility, protection and elegance. Lighting heightens your animal deterrent factor. 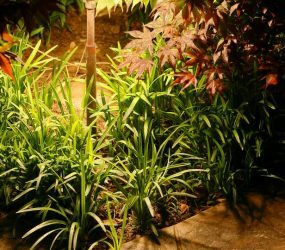 Well lit areas are not appealing to animals that can do damage to your lawn and landscape. 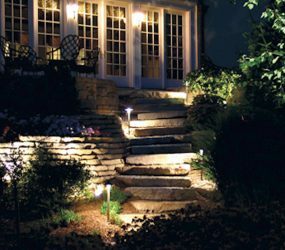 Motion-sensing lights can increase the effectiveness of your lights as well and should be used in addition to standard lighting.